At WNS, you are sure to find a wide variety of exciting career opportunities to choose from, based on your skill and qualification. You will also have a plethora of learning opportunities coming your way. In terms of career growth, our robust HR practices should see you moving up the curve swiftly. We are sure a global career with a vibrant work environment would fast track your career. WNS (Holdings) Limited (NYSE: WNS) is a leading global Business Process Management(BPM) company offering business value to 200+ global clients with over 27,020 professionals, many of whom are specialists in their domain. Many of them made a beginning like you and grew in the environment to take on stretch roles, building domain expertise along the way. We have 34 delivery centers world-wide, including China, Costa Rica, India, the Philippines, Poland, Romania, South Africa, Sri Lanka, UK and US. 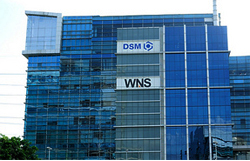 Click on www.wns.com to know more about the industries we serve.